Here at Cheese Magnet we have a soft spot for character actors, the guys who didn’t let the lack of movie star good looks stop them from trying to make it in Hollywood. Eli Wallach was born in Brooklyn in 1915, when movies were still new and it’s safe to say his parents never thought little Eli would become famous for portraying a Mexican bandit in a movie about the American West made by Italians in the south of Spain. The son of Polish Jewish immigrants in an Italian neighborhood, he somehow ended up studying history at the Univeristy of Texas. It was there that he caught the acting bug, appearing in stage plays with classmate Walter Cronkite(!). Eli did his part during World War II, shipping out to North Africa and France. His acting background served him well as he appeared in comedic plays and skits, even playing Adolf Hitler at one point. After the war Wallach studied Method acting and starred on Broadway before moving into films with Elia Kazan’s Baby Doll in 1956. In 1960 he starred with Steve McQueen and an all star cast in The Magnificent Seven. Eli played Calvera, the villainous Mexican bandit who terrorized the small town. 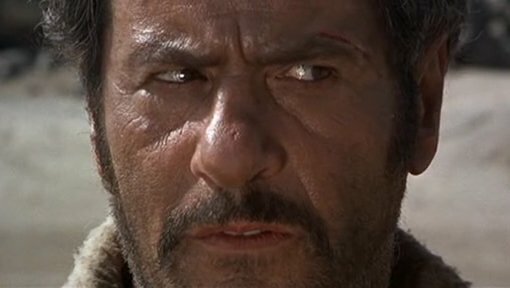 A few years later he played another treachorous Mexican in Sergio Leone’s The Good, The Bad and the Ugly, if not the greatest Western ever made certainly the greatest Spaghetti Western. As Tuco, the Ugly, Wallach gets all the best lines and provides some much-needed levity.